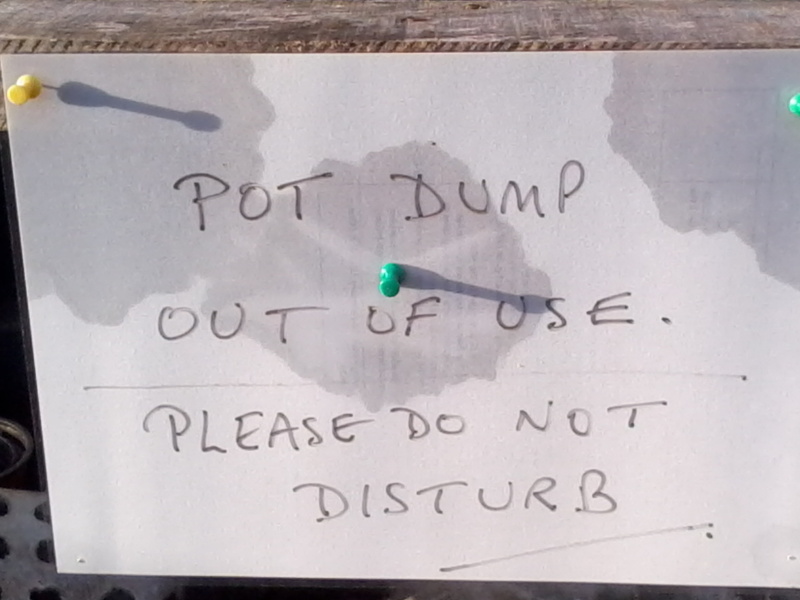 What has been happening down the allotment then??? Well to be honest not much. The weather has remained wet although we did get one dry day last Monday but I didn't get chance to get to the allotment which is just typical. 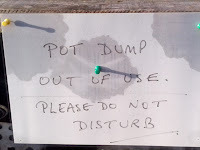 Pot dump was put out of Use by a bird nesting in it. 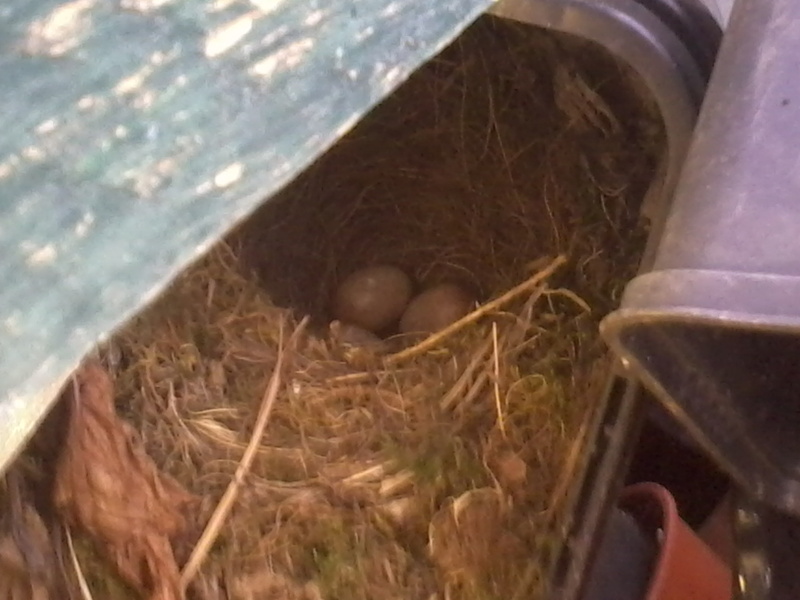 It was a pair of Robins and you can clearly see the eggs in the top photo. However today on checking we found that the nest was empty which was such a pity. It did mean however that we could sort through the 'pot recycling centre'. Why do people feel the need to use it as a rubbish bin?!?!?! 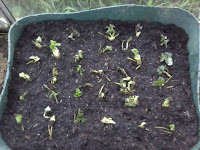 On other news I did manage to get the broad beans in a while ago.. I only just managed to miss a complete soaking whilst I was trying to get them planted....the root system on them was nice and strong. 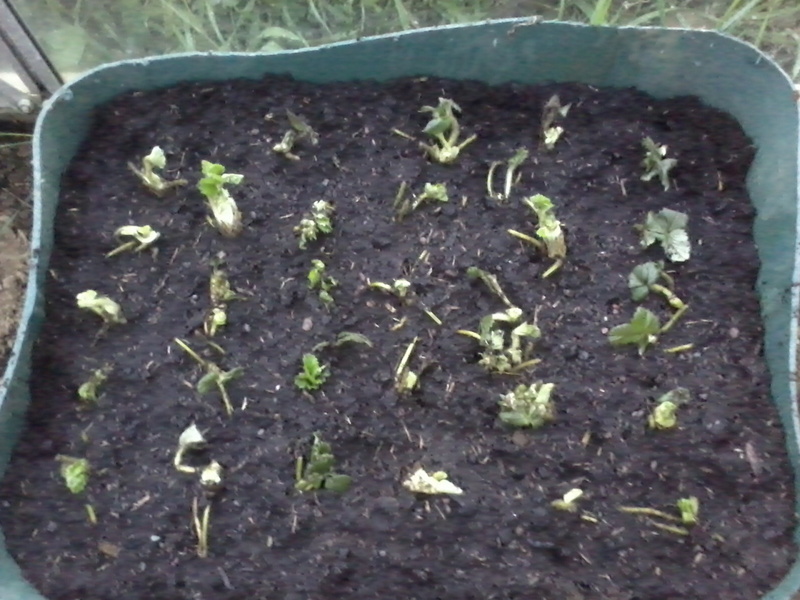 As you can see the line isn't very straight and they aren't spaced very evenly but to be honest I was just thankful to get them planted out before they died from lack of soil. 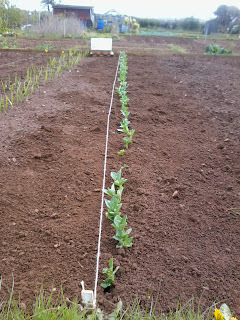 No matter how wonky the line is the plants look healthy and it's nice to see a bit of green on the allotment!! On another note my strawberry plants finally arrived. They were a bargain offer and all look very healthy. 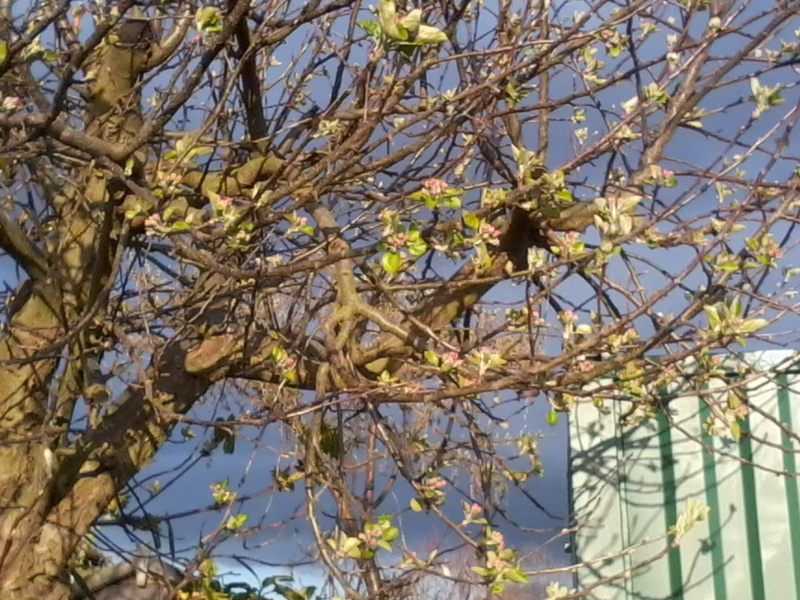 Simply because this is the sate of the allotment right now. There is standing water on a lot of the bare ground and I know that if I try to plant them out then I will end up in an unholy mess and also probably sink up to my ankles...hoping to get at least a couple of dry days...or even just light rain to improve conditions enough so that I can actually get them planted outside..until that time they will have to be happy planted in a little box in the greenhouse!! Well that's really all I've got right now....Been busy up the allotment today but only in the greenhouse and I didn't take any photos so I will leave that for another post tomorrow...just in case it's still raining...if not then maybe I can actually get some real allotment work done!! We had an afternoon at the plot mainly clearing and weeding. For us it isn't that it is too wet to plant - it's just too cold! Been very cold here too...though I think I would probably feel a little more guilty if that were the only reason I was being neglectful in may!! It's going to happen any day now Ann!! 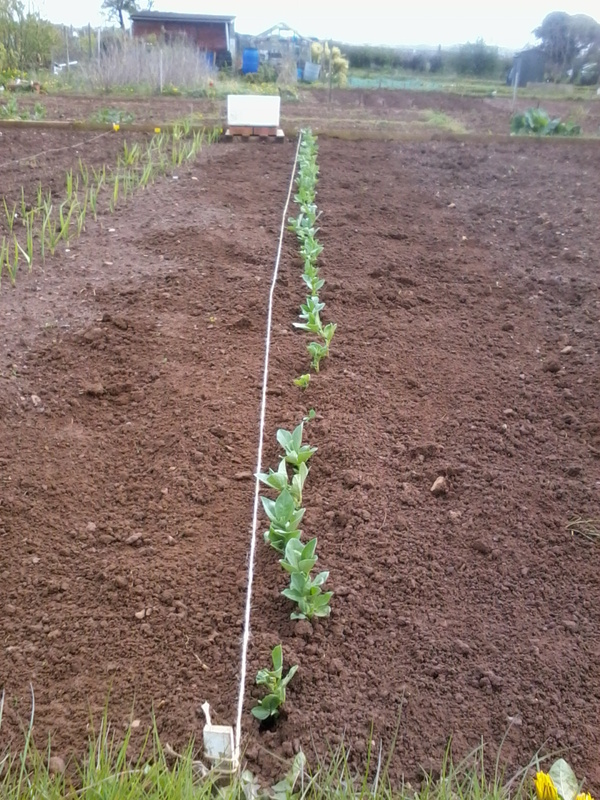 That's a lot of broad bean plants, I'm wondering if I've done enough now. I've got a dozen, but I'm only trying them for the first time, I don't know if I like them. Robins seem to make their nests in the most inconvenient places. I remember seeing one in B&Q amongst the bedding plants. I love broad beans Jo...but don't worry you'll get plenty off your dozen plants...I just like to have enough to last me the year!! 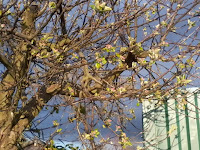 I love to see the weird and wonderful places the birds make their nests!! I didn't send it your way...honest...I wouldn't wish it on anyone. 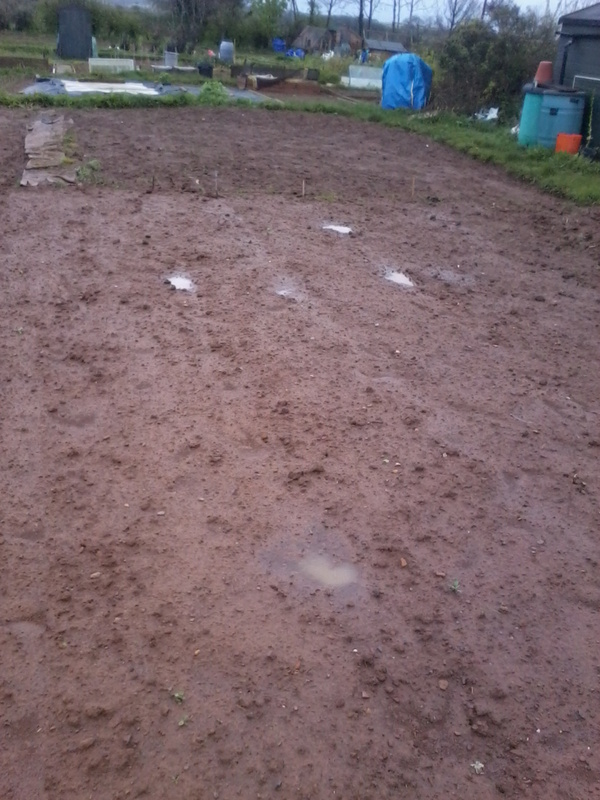 Hope it dries up for us both soon!